Makes Shakespeare "Cool" and "Current"
Easily reduced to 27 speaking roles. Flexible Cast size to suit YOUR group numbers, from 30 actors upwards. See "Casting" tab below for full instructions. Grade 3 / 4 Standard, click "Easy Play Score" in the "Script & Songs" tab below. 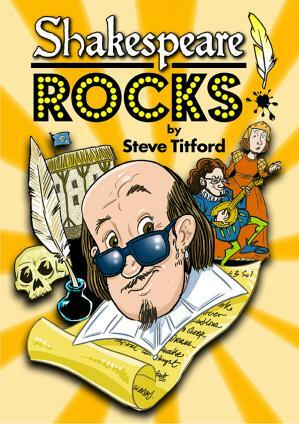 Check out the "Production Notes" in the "Script Sample" below for full details of "Shakespeare Rocks!". Click "Script Sample" in the "Script & Songs" tab below. "We have our first show last night and what an evening that was! This was our very first musical we ever put on and I am so glad I chose this musical. The play is funny and songs not only catchy but also educational. There were 91 students (58 in the cast and 33 in the choir) and more than 6 teachers involved. I cannot thank you enough for creating this musical. We all looooved the show and my students absolutely adored it. 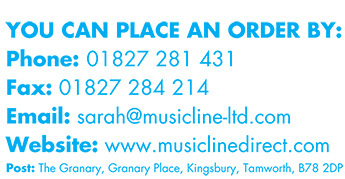 We will definitely be coming back to Musicline. Jin Hee Choi, Music Teacher, Greenfield Park International "
"I love the play sooo much!!! I am also playing Nic who is an amazing part. I love all the songs and the script it self. In my opinion it is a great way to educate young people my age in a very halarious and up beat way. Iove all of the song's especially no girls allowed and Romeos and Juliets! Truthfully, I will keep the script and the songs as a life long memories, I even have my own folder just for Shakespeare Rock's. At my school I am known as the Shakespeare Rock's master because I know so much about it!! I love Steve Titfords new entre Darwin rock's. Thank you so much for this amazing play!!!!!!!! ?" "I love this cuz my school are doing this for our Leavers play. I get to be Nic even though I am a girl and I am SOOO excited and happy. Thx sooooo much! ??" "my school have just assigned parts, turns out i am juliet. the script is very funny, and the songs are very catchy. EVERYBODY is singing the songs whilst walking down the halway!" "This production is an absolute stunner from start to finish. The backing tracks complement wonderfully written songs, and there are plenty of laughs to be had along the way. Very easy to stage and honestly just an incredibly well written production. Would highly recommend - our Year 5s are still singing the songs 6 months later!" "We are performing this brilliant play in two weeks time. I am in Year 6 and playing Romeo, who has the wonderful solo with Juliet. All the facts are right from Shakesperian times! I am really enjoying rehearsing this play and all the songs are great - especially 'Show in the Globe' and 'No Girls Allowed'. We have included the whole of KS2 and even the seven and eight year olds (Year 3) have some good parts as well, including the Minstrels and Fans. It has been a really fun and enjoyable time practising the play. Steve Titford has made some really great songs and I would like to thank everybody at Musicline Productions for giving us an awesome end of term musical. " "You uncorked a veritable genie from a bottle with this fantastic idea and thank you for all the joy you gave, the up-tempo modern kick, the literary links and the sheer feel-good vibe that gave our school such a boost. Your songs just keep rolling around my head. Brilliant and thank you!" "brilliant play with funny parts songs are brilliant especially to be or not to be 5/5 from y6 at westfield community primary school "
"we are currently practising it at school and I am babs and I love the songs they are all really catchy long but easy to remember and I have been singing them everywhere I go as they are stuck in my head especially no girls allowed and don't mention mac but they are all great, definitely 5 stars without any long thoughts!!!!!! im keeping the script for a life time! steve tiford, please write another funny, charming script as I love your sense of humour!" "exelent i love the songs i am doing the play at school!" "I think it is a wonderful play to perform. I was a fan in the show and I had to have makeup on! I got look on the script it was amazing. I really like Steve Titford. They are amazing and realistic!" "I just wanted to let you know that we are rehearsing for your brilliant show 'Shakespeare Rocks'. The children really love the songs, and laugh at all the jokes. The 'Sing it!' package with the CD-ROM has been so useful in teaching the songs. The whole school is involved in the production, and all their topic work at the moment is based on Shakespeare. They have learned so many facts from your songs... and have enjoyed the challenge of finding out where your 'artistic licence' does take over! The singing on the CD is excellent." "We are currently working on it. I am Romeo and I am love in it, even though I have to play a boy! I really recommend it." "Definitely the best script I have ever read." "An utterly brilliant introduction to Shakespeare; oh... those songs!" "If this doesn't engage children and have them eating out of our hands, then nothing will! " "We loved the fact that the "Word Doc." Script enabled us to adapt the production to our own needs, namely, the inclusion of extra scenes so every class from Reception to Year 6 could be included. Our children loved the songs and we now wait with bated breath for Steve Titford's next offering."